We are a long established UK company selling grounding/earthing products. Our primary product range is Clint Ober's Earthing™ products, plus we sell additional connection and test equipment to enable safe and effective use of the Earthing products throughout the world. We are also the exclusive worldwide distributor of 3rd Planet's range of grounding footwear. 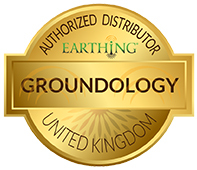 Groundology was set up after personal experience of the profound benefits of grounding. It is our wish to share these benefits with others, and make available the highest quality products. Seb's background in Electrical Engineering means he has a very thorough understanding of the principles behind grounding technology and its effective use. He also has considerable experience in various fields of natural health. Seb oversees customer service and personally takes care of technical product queries. He is the driving force behind our clear and informative website. Brian has a wealth of experience in logistics, and is dedicated to achieving the highest standards of customer service. He takes care of stock and distribution, ensuring that our customers receive their orders promptly and efficiently.